Interiors and Places, on view at Hackett | Mill in San Francisco through March 27th, brings together a selection of 13 paintings by the three founding members of the Bay Area Figurative Movement: David Park, Richard Diebenkorn and Elmer Bischoff. Park is best represented, with nine paintings on view, along with two works each by Diebenkorn and Bischoff. Co-curated by Michael Hackett and Francis Mill, and made possible by the willingness of private collectors and one institution to lend rare works, Interiors and Places is an exceptionally beautiful show that makes a valuable point: Bay Area Figuration has its roots in scenes of familiar people, scenes and objects, rendered with genuine affection. 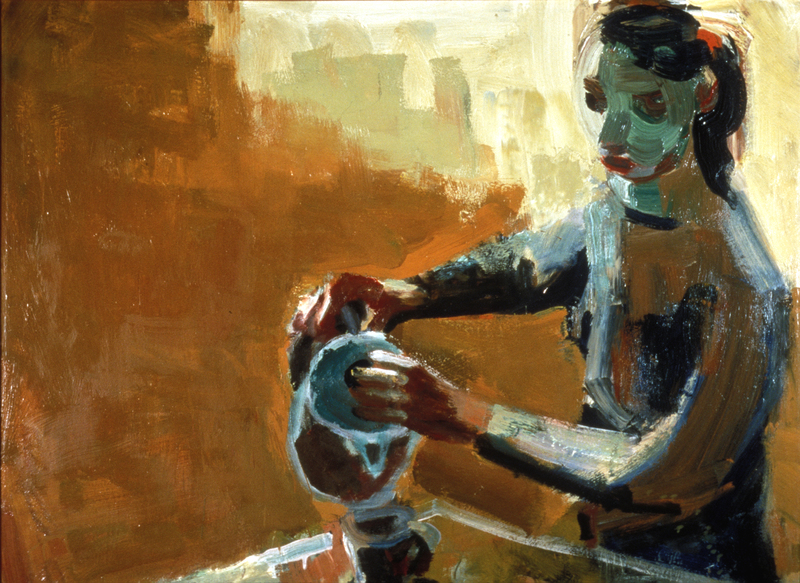 The exhibition offers a chance to see paintings that have rarely or never been seen in public, including David Park's 1958 Woman with Coffeepot, which is on loan from the collection of Michigan's Kalamazoo Institute of Arts. According to Francis Mill, it took about 10 years -- from conception to fruition -- to make the exhibition happen. 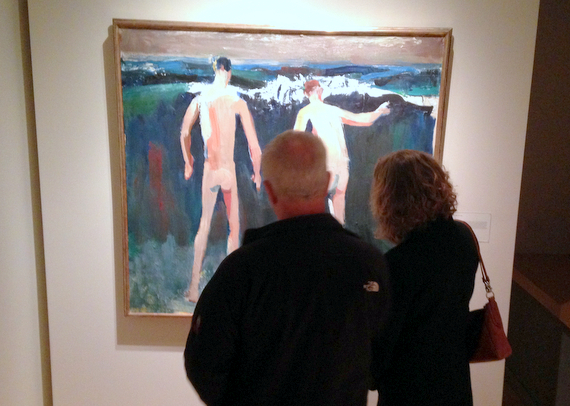 Its opening night clearly brought a great deal of joy and satisfaction to many people, especially friends and family members of the three artists: so did the opportunity to stare at and closely inspect the works on hand. 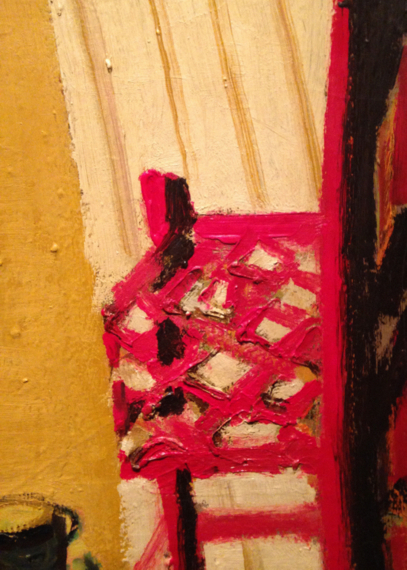 Seeing a David Park painting in person always offers a reminder of just how fresh and bold his use of paint was. 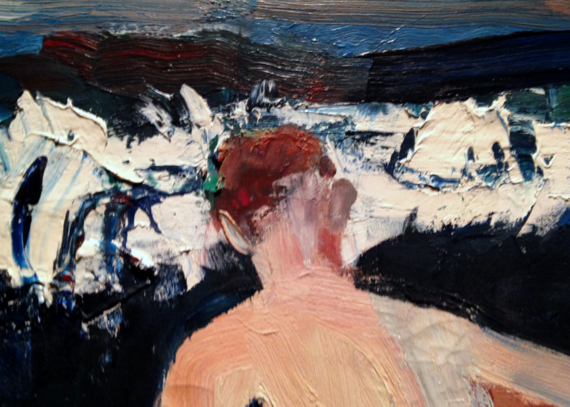 Looking across the surface of his Surf Bathers, with its fluid intermixing of brushwork and palette knife, provides viewers the chance to appreciate the balance between representation and abstraction that give his works their aesthetic tension and vibrancy. Gazing at the works on view also offers the chance for fresh revelations about their themes and meanings. 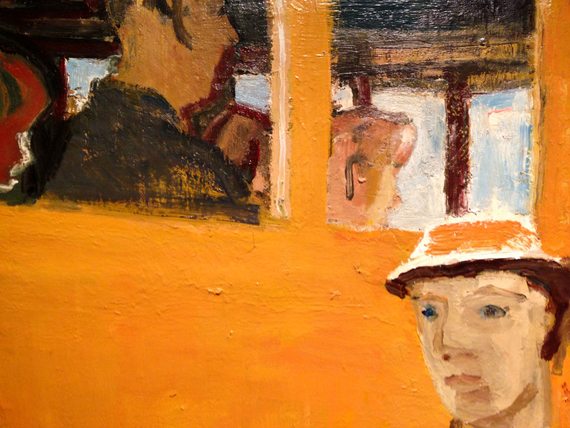 David Park's The Bus, a large oil from 1952 struck me as having an underlying theme of individualism. As a woman walks away from a bus she goes her own direction while the bus carries its group of riders on to the next stop. For Park, who a few years before had chosen figuration when every other ambitious modern artist was painting abstractly, the theme of being on one's own had a special resonance. There are many other personal meanings suggested by the Park paintings on view. 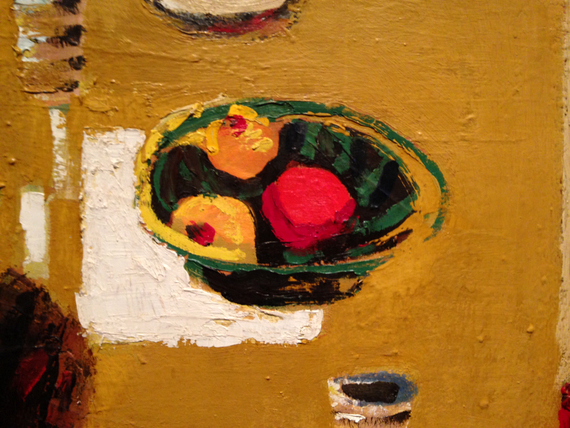 The three orbs of fruit in a black and green striped bowl in Park's deeply moving Table with Fruit have something to say about the sweetness of family life: there is one piece of fruit for each Park family member depicted: David, Lydia and Natalie. The red chair stands empty as a reminder of Helen, who had recently left home and married. Hung in the same room as Table with Fruit is another empty chair, Richard Diebenkorn's 1960 Black Chair, painted the year of Park's death. 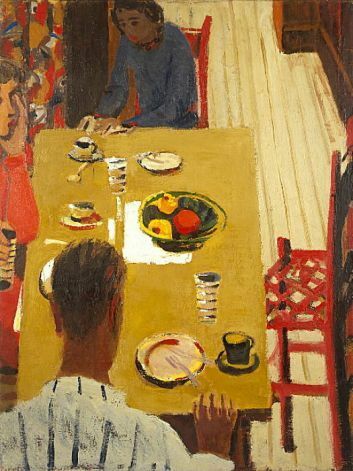 In the dialog between the two paintings, with their suggestions of presence and absence, is a message about the importance of family and friends. Interiors and Places is a show that pays tribute to the exchange of ideas and enduring friendship between three artists who were in turn supported by the love of their wives and families. Tuesday - Friday, 10:30am-5:30pm; & by appointment. 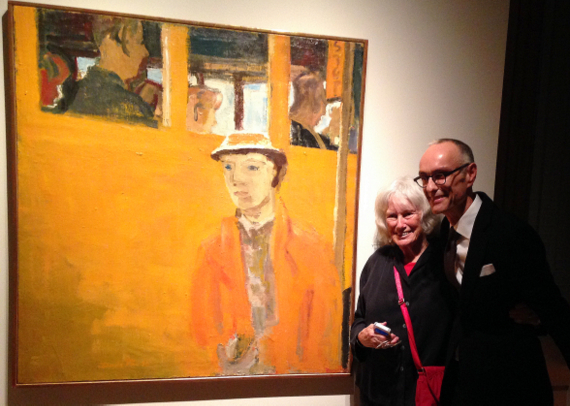 Hackett | Mill will host a lecture with Nancy Boas, author of David Park, A Painter's Life, on February 19, 2015.